Music is the basis of so many great things in this world, not least of them the basis of a good friendship. When you share music with somebody and you’re sharing a piece of your personality with them. Unfortunately, sharing music isn’t so straightforward; the sheer amount of streaming services available out there make it close to impossible to seamlessly share tracks with friends. If you’ve ever tried to share an iTunes link with a friend on Spotify, good luck to them finding the right track! 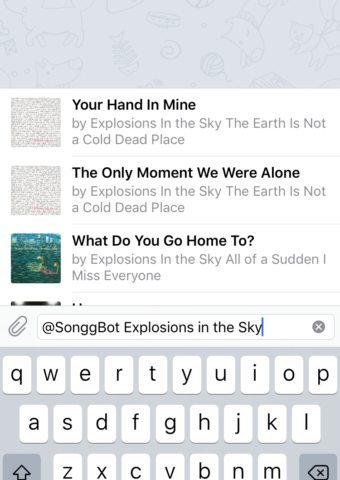 @SonggBot works in groups or private chats, making it easy to prompt a track share. And enter in the track you’re looking for. Wait a few seconds for the results to appear. Type in the name of the track you want to share, a list will pop up as you type. Just choose the right track. Mmmmm Explosions in the Sky, goodness for everyone! 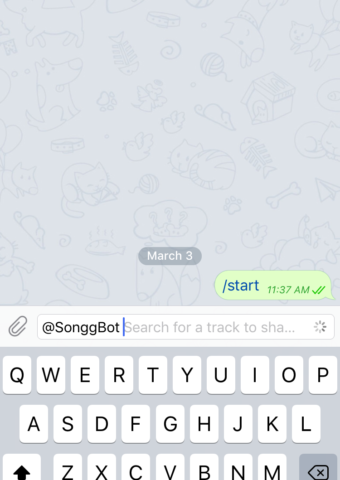 The track link will pop up into the chat, now your friends can listen to the track anywhere they like! 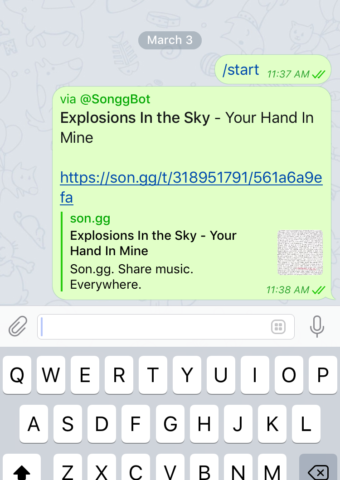 Go ahead and add SonggBot to Telegram and keep your friends happy!